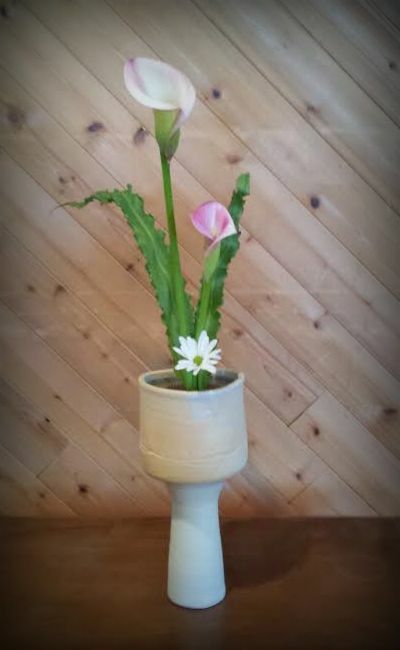 The Isshuike of tulips is a simple shoka arrangement, yet, as any Isshuike, one has to strictly adhere to the rules. Only two flower stems are used, one for shin and one for tai. It is important to use attached leaves as much as possible, if the leaves are not suitable, other leaves have to be cut from a stem and reinserted appropriately with the flower. 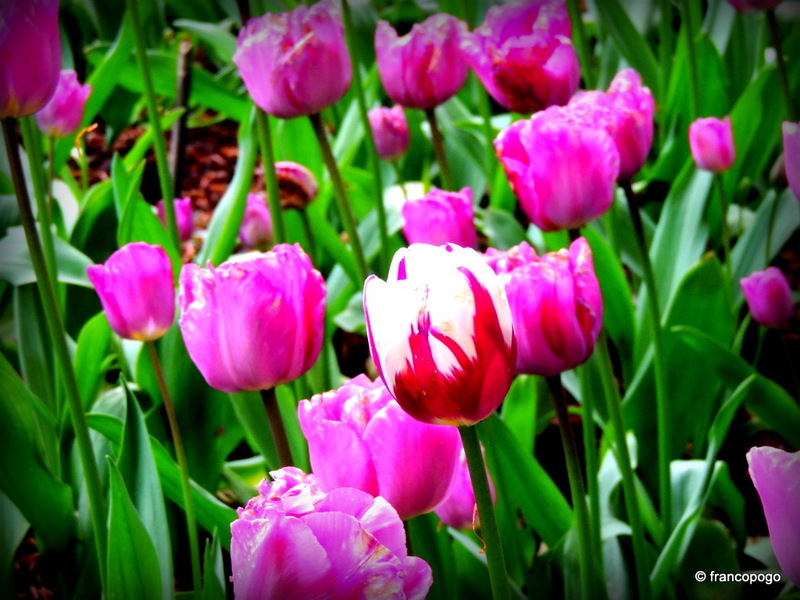 Fortunately, tulips are plentiful in Spring gardens allowing us to practice this arrangement at this time. 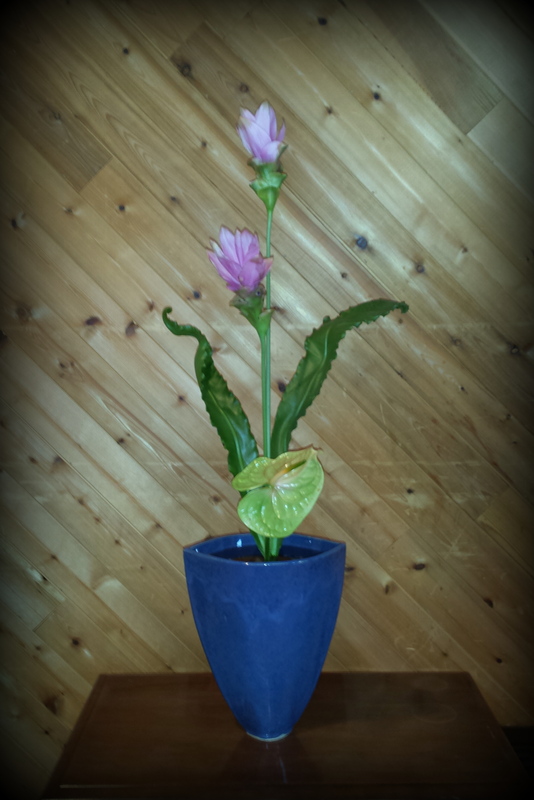 Today, my friend Miguel and I collected our material from his garden and produced the following arrangements. 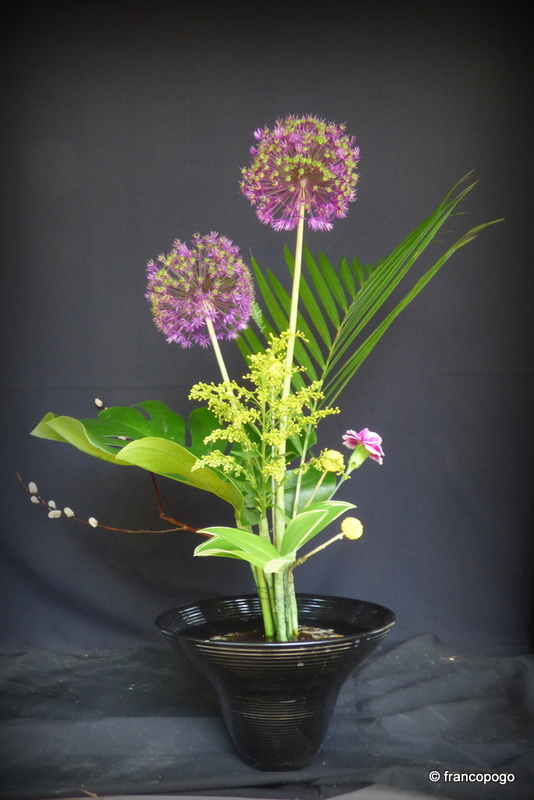 It has been a while since I have posted any ikebana arrangements as there had been few special events of late. However, on April 18th, my friend and student, Miguel Ferrero organized a fundraising paella dinner for 100 guests, to benefit a girl’s school in Nepal supported by an Edmonton Buddhist group. A week later, on April 25th, an earthquake hit the Kathmandu region, making relief help an immediate necessity. 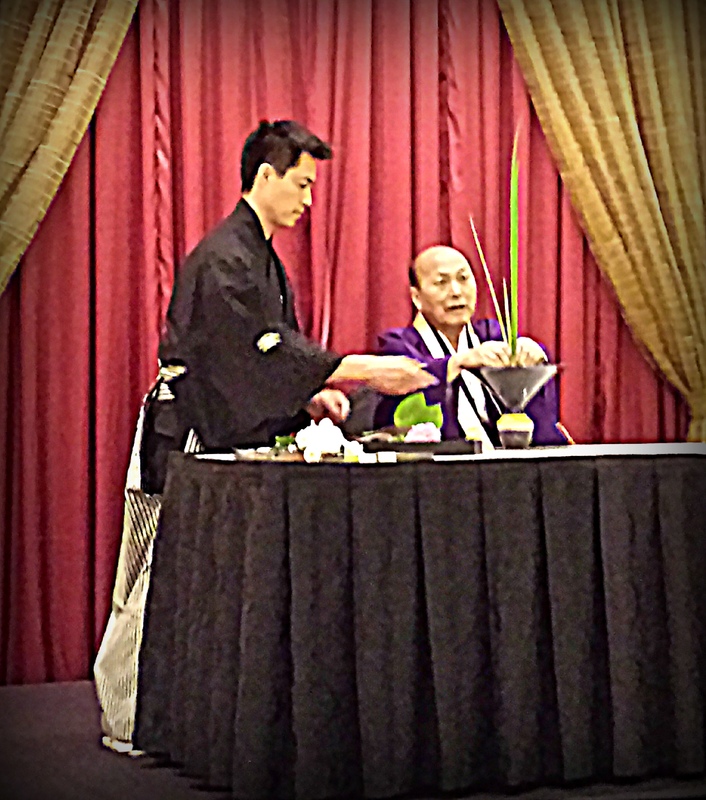 For the benefit dinner, Miguel had chosen some flower material which I arranged for him, the result being the above shoka shimputai of cucurma, bird nest fern and anthurium. 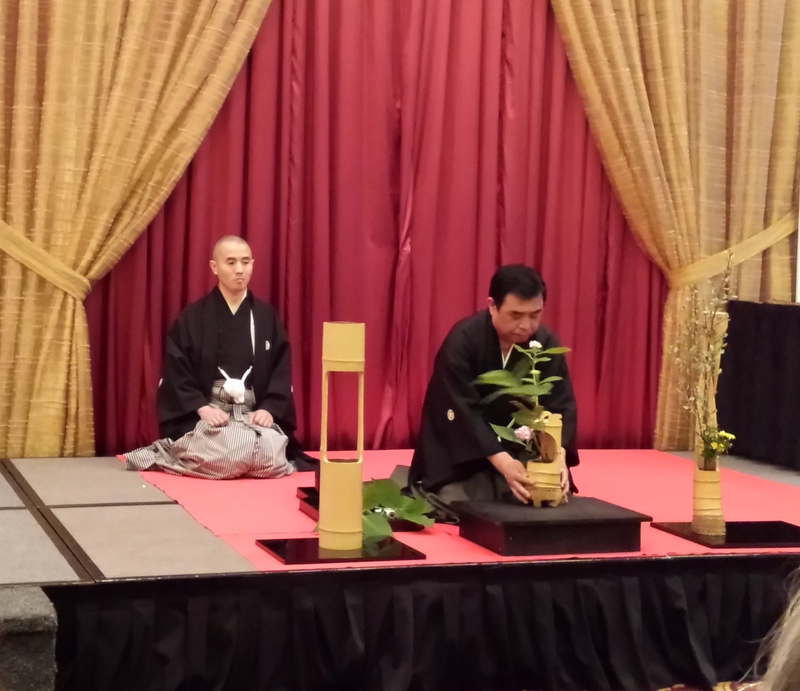 Last night, May 7th, we had a jiyuka (free style) lesson at the Edmonton Japanese Community Association’s Ikebana Club and our arrangements can be viewed on the Club’s web site. 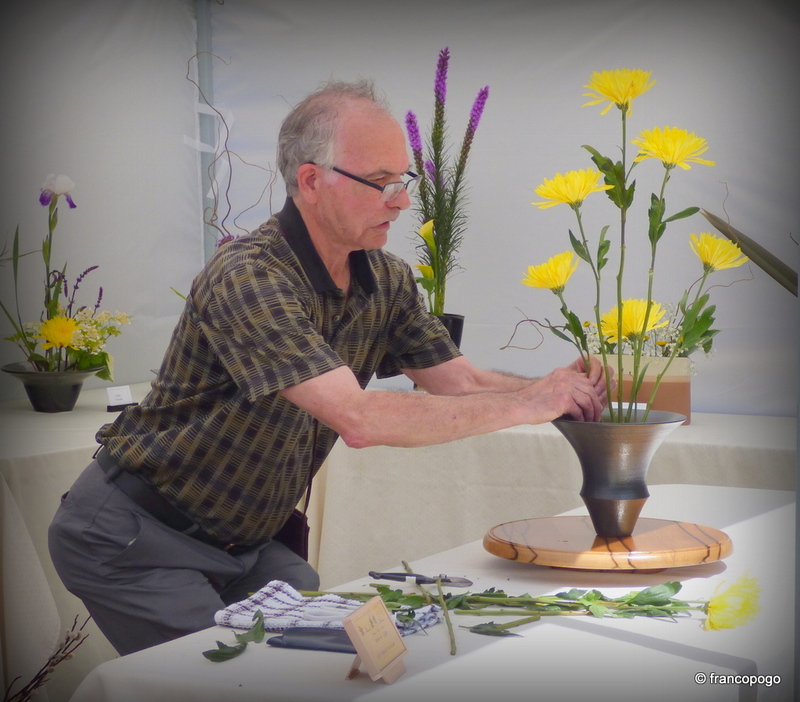 Many ikebana events are coming over the next few months. 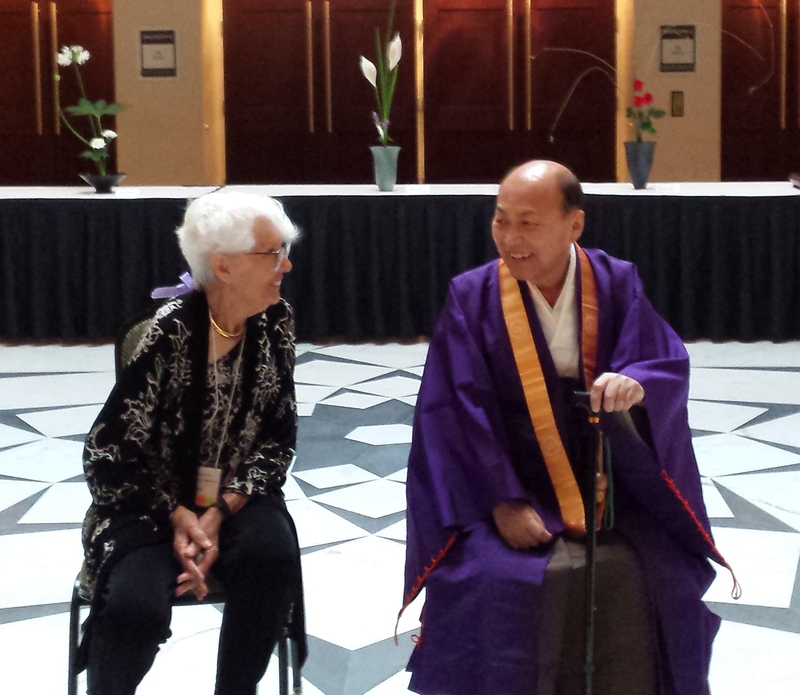 At the end of May, I will be attending a special rikka workshop in Houston, Texas, during the local chapter’s Fiftieth Anniversary Symposium. Our headmaster, Sen’ei Ikenobo, will be offering an extensive demonstration for the occasion. There will be much to report upon my return. 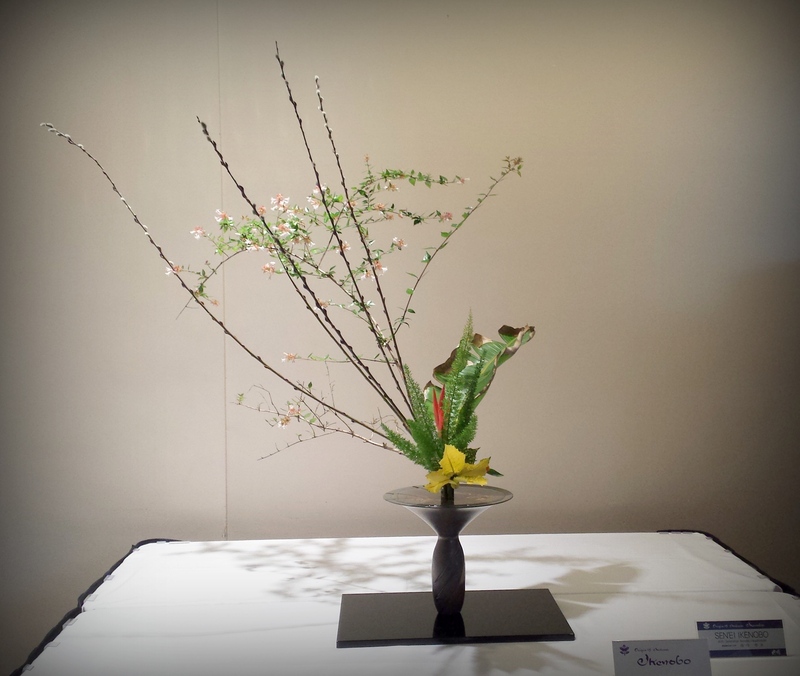 In early June, the EJCA Ikebana Club has been invited to participate in the Kurimoto Japanese Spring Festival, where my students and I will exhibit a number of arrangements. 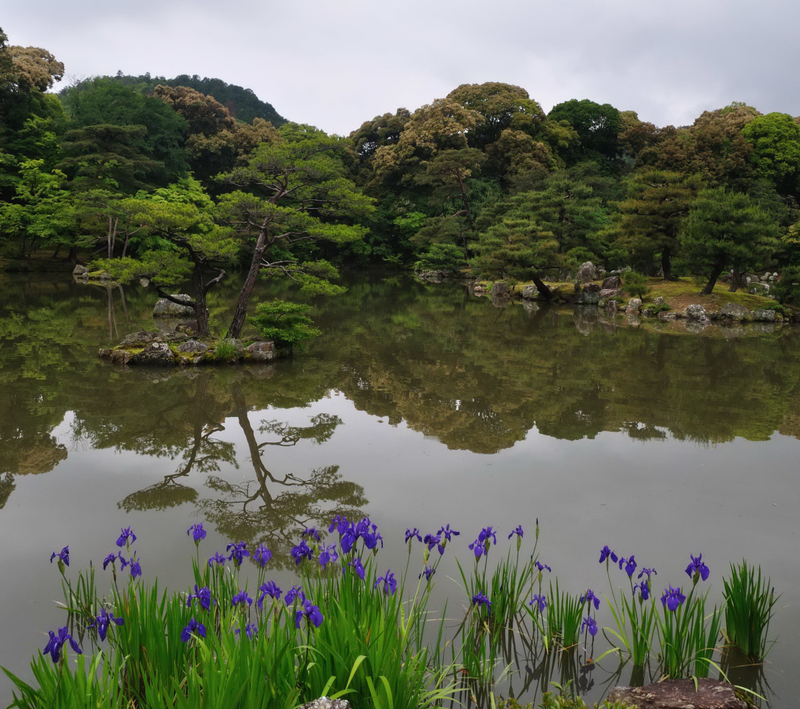 I will also be offering a 45 minute live demonstration, as well as contributing a large arrangement to be exhibited at the gate of the Kurimoto Garden. On the weekend of August 7th to 9th we will take part in Animethon 22 with a demonstration a day on the 8th and 9th, just as we did last year. Much to be looking forward to. 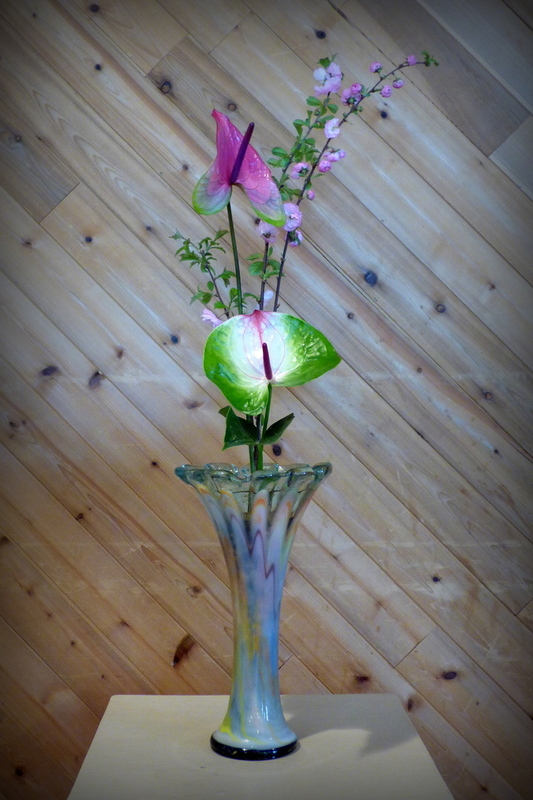 Shimputai of calla, bird nest fern and chrysanthemum.